GUITAR STUDIO INSTRUCTOR STEVE LANGEMO RELEASES A NEW ALBUM! Colorado Springs Guitar Studio owner and guitar teacher Steve Langemo is releasing a new album project in early 2019. The record features all original jazz and fusion compositions played by an amazing band comprised of some of Colorado’s best musicians. The compositions range from jazz funk fusion to straight ahead jazz quartet pieces and feature virtuoso playing by all of the musicians on the recording. 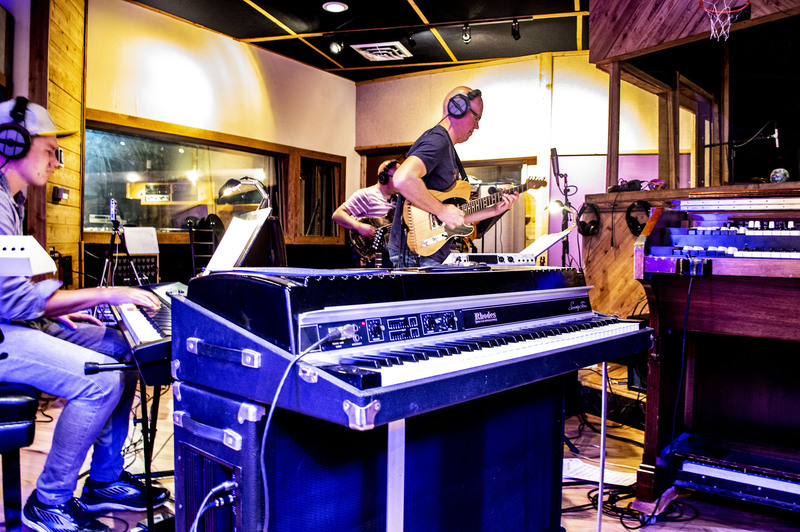 Along with Steve on electric guitar and jazz guitar is Stefan Flores on drums, Colin Trusedell on bass, Adam Olson on keyboards, and Heath Walton on saxophone. Visit Steve’s website at www.stevelangemo.com for availability and more information.